There is an era where God rules the world where human life. There is also an era where chaos wraps human life and ruin the peace. However, Zeus as the Ruler and also a father of so many Gods in Olympus success to give back the peace in his land. However, that peace won’t last long because Loki the God of Mischief come to destroy the peace in both God world and human world. So, who is Loki? Why he want to ruin everything that Zeus make? What is his relation with Thor? Let’s find out their relation only on my website today. A long time ago in the Norse mythology pronounce a bad God that really to make a chaos. He is the son of Farbauti and Laufey and his name is Loki. His act to ruin and make chaos on everything and anything make so many God pissed. Among all God that get tricked by his mischief, Thor is one of them. There is even a story about Thor The Thunder God and Loki God Of Mischief in a mythology. The story tells that once Loki tries to kill Thor by trick him to come into the enemy ambush but there is someone who spoils Loki plan and helps Thor by giving him several items. The story ends up with the failure of Loki plan. However, this thing still not enough to stop him from doing any mischief. Ragnarok Is in the Hand Of Loki? There are a few tales that tells one of the signs of Ragnarok is when Loki free from his chain. Well, because of Loki mischief he got chained into the stone by Zeus and there are some people that say if the time has come Loki will set himself free to fighting Thor once again. Loki himself already set an army by giving a birth to one of biggest Wolf, Fenrir and a few other monsters from his wife. He also gives a birth to Jormungandr, the World Serpent, and Sleipnir the eight-legged horse. Well, even though Loki is one of Odin beloved brother, his act to another is absolute can’t be appreciated. He does what he like despite all the rules that Zeus made. His act becomes his only weapon that hit him back. His words also what brings pain to his life. Now he is trapped, chained upside the stone, waiting for the sign of Ragnarok will come and he will regain all his honor and superiority. 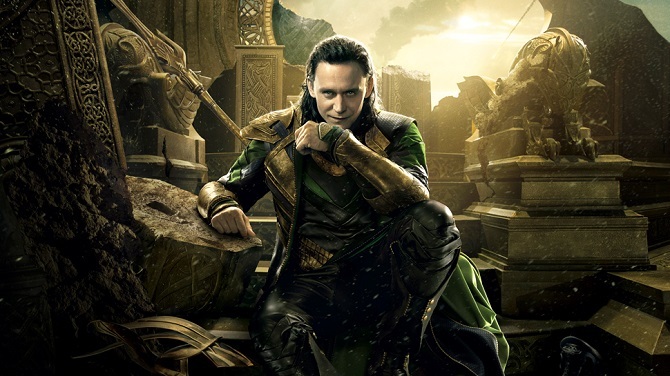 I think my article today about Loki the God of Mischief is enough and clear for you. I hope my article today can help you to know that sometimes our ignorance can cause a disadvantage to our self too. If you think my article today is useful for you, please share my article today with the other people who loves to read the story about Gods and don’t forget to come and visit my next article. See you soon on my next article and have a nice day guys.